Each Product Profile in MiQ offers a comprehensive, third party-validated hazard evaluation of chemical, mixture or material level products. 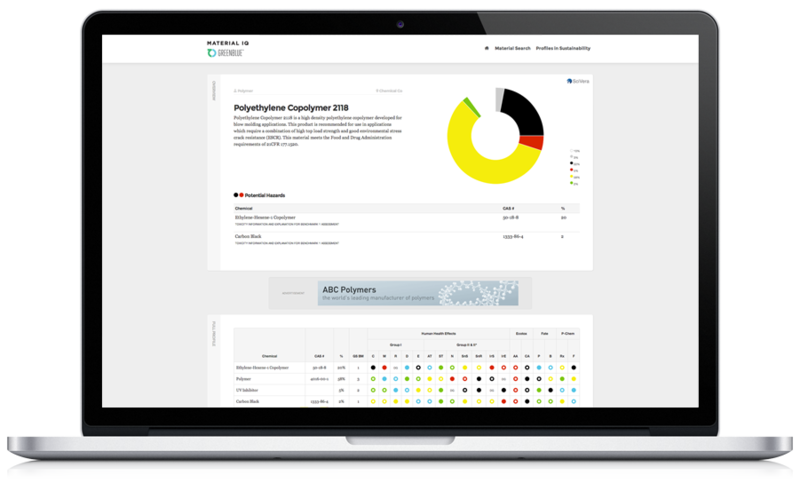 No other resource provides compliance information at the chemical, mixture or material level. Easily verify if more complex assembly or finished products meet third party requirements such as REACH, RoHS, LEED or EPEAT.